Deighton’s modesty aside, “this is perhaps,” is definitely modest, the sentence was something that I couldn’t just read, it had to be looked into. And when I looked into it, I found an article by Matthew Kirschenbaum an associate professor of English at the University of Maryland. 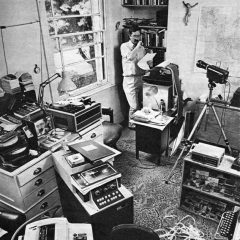 At the time he was working on a book titled; Track Changes: A Literary History of Word Processing, which is now published. It’s easy to overlook this process of including a computer, or in this case a word processor, into the creation of a book. Especially in a day and age when the written word is hardly written. It’s usually typed, even in the face of “writing” and “reading” going somewhat out of style with the rise of audio books and computer dictation. 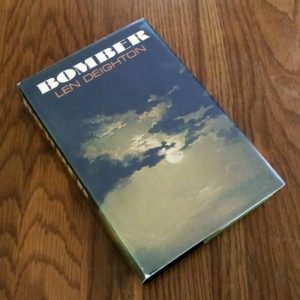 Bomber was first published on September 10th, 1970 and Deighton first had the I.B.M. installed in his house in 1968. This was well before personal computing was a thing, and at a time when this particular word-processor could only be installed into Deighton’s house by removing a window. Now, word-processing is just a fraction of what our computers and even our phones can do. It’s just a part of them, and we don’t need to renovate our homes to get them inside. Even more to the point it’s what we take for granted in word-processing software that was most appealing to Deighton. 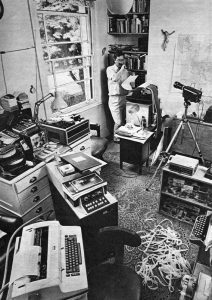 Len Deighton and his IBM word processor, London, 1968. Now, we’ve all added paragraphs and moved them around, cut, copied, and pasted text. But the ease of use is so familiar that we don’t think twice, because it can be done almost anywhere, in a browser or in a program, and even in cloud software. Even more phenomenal than us taking this for granted is that it was happenstance that put Deighton and the IBM together in the first place. 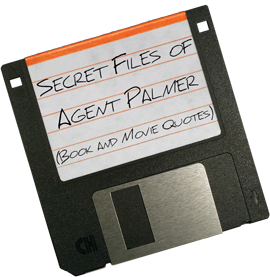 So, if the technician hadn’t mentioned it or if Ms. Ellenor Handley hadn’t said anything, I might never had (in my own happenstance) read the book that was the first done on a word processor. Again, I can’t speak highly enough of Kirshenbaum’s article, and I look forward to reading his book, which I can most assuredly presume was written on a computer. IBM MT72 IV was the machine Len used. In the U.S. it was called the MT/ST (Magnetic Tape/Selectric Typewriter). First released in 1964, I’m guessing that Len’s MT72 (which is what it was called in Europe) was the Mark IV model, which would match the 1968 date mentioned in the above article. Most models had two tape drives, which greatly facilitated revision and enabled features such as mail merge. An add-on module added a third tape station, to record the combined output of playback from the two stations. Thanks for reading and for the additional information.